Christmas Stories: A Christmas Carol is rated 4.2 out of 5 by 61. Rated 5 out of 5 by beachlady1 from I love this game! Beautiful graphics and Christmas music! I am glad I bought it. The game ran much longer than I thought it would and it is well worth the money. If you love Christmas games this is a must have! Rated 5 out of 5 by annieliz1 from A lovely game based on the traditional story This was fun; full of colour with puzzles which were in the main worth the effort. 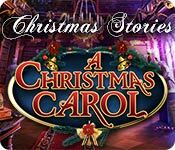 I expect everyone knows the story of Scrooge, the miser, who on Christmas Eve is shown his past present and future lives and given a chance to change things for the better. The game does not rigidly follow the book but it is not irritatingly different. I was sorry when I finished it. Rated 5 out of 5 by canaduck from Fun and very Christmassy! Fun game with nice Christmas music, excellent graphics, and a reasonably long play time. Good puzzles, too--some are quite tricky. Rated 5 out of 5 by PrincessSula from Very fun, could have been longer This game was very enjoyable, and the graphics were so good! Enjoyed the whole story, although by the end I was a teeny bit bored with hidden object mini games, but still had a lot of fun. The only thing that would make it better is for it to be a bit longer, but I will definitely be playing it again! Rated 5 out of 5 by bjdjtjbjd from Do NOT pass this one up!!! This game is what you want your children and grandchildren to see. Everything about this game is what represents, Christmas and what it stands for! It is a feel good game and so it should be! Try the demo and you will know what I'm talking about...No lies, here... This is more than a game...it's like watching a movie, ONLY you are in it as well... This is a keeper for generations to generations... Enjoy ! I recommend this game for everyone! Rated 5 out of 5 by Enyagirl from Great Game! I played the beginning of this series last year and it is a winner! I am going to be playing the next two older ones plus the new Gift of the Magi this year. This series is excellent! Rated 5 out of 5 by Yurnmesis from Great Holiday Entertainment Graphics: Excellent Sound: Music was enjoyable and appropriate for the task. Hints: Transported you right to where you needed to go. 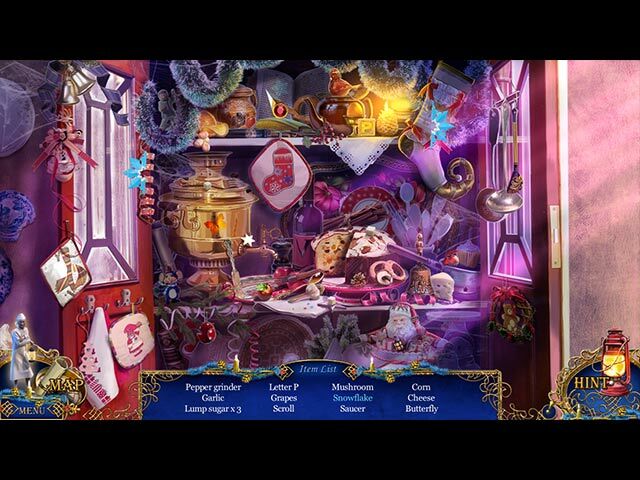 Map: Excellent Hidden Object Games: Based on finding objects from words. A couple obscured objects in a dark corner, numerous holiday oriented objects and clearly presented. Occasionally you have to put two parts together to complete an item. Mini Games: I even ventured into some and found them a fun challenge but I’m not good at mini games. There are plenty that are challenging enough for those who are mini game fans. Note: one game was frustrating. You must find the second part of a skater to create Tiny Tim’s amulet and place it into a plaque. Then you have to adjust the skater’s arms and legs to fit a preset outline. Well after trying and trying, I went searching for an answer. The left shoulder and arm move separately as does the thigh and leg. So instead of moving as a whole they move independently. So give it a little more tweaking and it will work. I wasn’t the only one who didn’t think outside the box and hope this helps you. Storyline: What can I say? Old Scrooge gets a new lease on life. Actually very well done and the more I played the game, the more I found myself smiling and enjoying it. Loved all the scenes and toys and the people, the developers did a great job on this one. Overall: Enjoyable game with excellent graphics and entertaining games. Special Note: Towards the end there are four little kittens that are absolutely adorable. Rated 5 out of 5 by JulzCat from Christmas Fun for all! We were excited about buying this after enjoying the excellent Nutcracker game in this line, and it certainly didn't disappoint...heart-warming story line, beautiful Christmas graphics and several hours of game play definitely make this game a must-have! Rated 5 out of 5 by un1cornr0se from What a CRACKER of a Christmas game! I loved this, from beginning to end! The story was really interesting, the puzzles were original and fun. There was lots of problem solving and a handful of HOS. While the HOS were not difficult, the graphics were stunning and I loved the music. 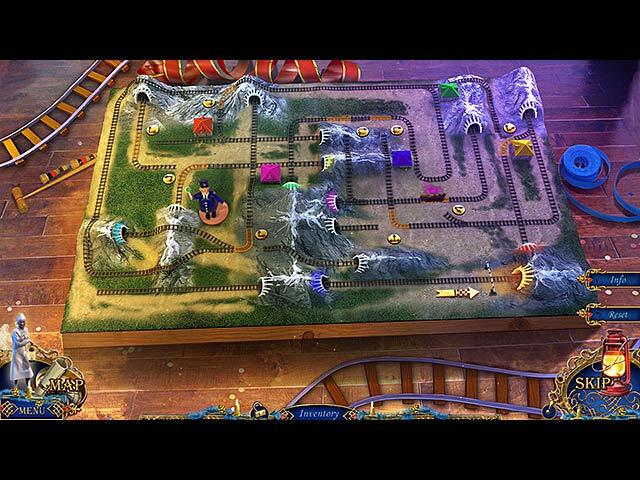 The puzzles had a good mix of hard, medium and easy, and the length of the game was just right. This one is a keeper, and I will be playing it again!